Structural Engineers are always in competition with the nature. Every creation has a co-relation with things that we see around us. 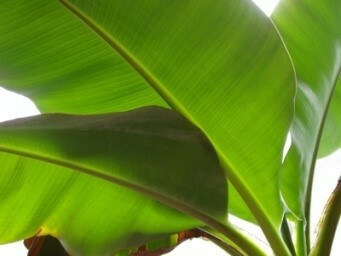 A simple leaf shows how nature has provided each component its desired position and purpose. A leaf acts like a simple cantilever, the soffit of which is under compression. 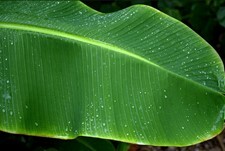 Figure 1a shows the leaves of a banana plant. The thicker midrib at the bottom very efficiently resists the tension. A top view of the same leaf is shown in Figure 1b. It is clear from this figure that the midrib has a cross-section, like a U beam. This acts as a channel for the rain water to flow from the leaves. With this configuration, the top portion of mid rib can take only tensile forces. It can buckle with compressive forces as the top portion is thin. Nature has kept everything in the right place. Similarly, a building is analogous to a tree with its foundation as roots and so on. In this way, engineers are influenced by nature. Each one’s achievement and victory is measured relative to others around them. The same holds true of our performance which is measured against our competitor’s. A designer’s vision is restricted within such limits, nature and people at the start of a design. 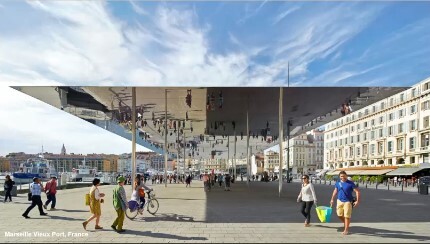 As a structural engineer, we need to see beyond what is around us. This would help us stay ahead in race. Throwback to 15 years ago, would anyone have imagined the accomplishments we have made today? From what some of the seniors recollect, no one then imagined that drawings could be completed as fast and easy as one can nowadays. There was resistance from many draftsmen to learn drafting software like AutoCAD (in 2D). The ones who adapted to the change had persisted in the industry. Today, it is difficult to find an office where draftsmen are involved in manual sketching. In addition to this change, we are in a decade where we move a step ahead and are creating 3D drawings/illustrations which are useful for the engineers to visualize these structures as it will be on-site. In structural engineering practice, technology has played a crucial role in solving complex problems, considering the project’s time constraints and the need for accuracy. Previously, engineers used to spend enormous time calculating huge stiffness matrices for multiple elements of structures on sheets spread across the room, and preferred to take a conservative approach to avoid unnoticed errors. The transition from manual calculation to using simple programmes formulated in FORTRAN and C, to advanced finite element (FE) packages that could analyse the entire structure within a short time is a classic example of our development. The difference between the FE software used then and now could be the level of analysis depth we intend to look at. The 3D visualisation and displacement, and stress plots of the same nowadays make them user-friendly as well. In a project, the designer and the technician work side by side for two outputs, i.e. a model for analysis and design, and a drawing for site. Coordination between themselves and updating the comments from the reviewer on both these outputs consume more time. As for the future, we could expect a scenario where a 3D print of the structure could be generated simultaneously when the designer completes the analysis. This will help save time, and avoids duplication of the structure modeling. The advancement in technology has opened up new opportunities for engineers from non-structural practice. Some work done by structural engineers could be easily automated by any individual with fundamental knowledge about the software. This may give the impression that the presence of structural engineers may be less important when similar work can be automated using a computer. As an engineer, it is our responsibility to help the future stay sustained with the current developments in the society. To achieve this, we need to ensure that the design we propose is optimised and the materials are reusable. Proposing aesthetically pleasing and yet complicated designs may help us stand out in this competitive world. But, are such outcomes really necessary, and if safety standards are compromised? Figure 3 shows us a simple and elegant design of a canopy. There is no additional design made to suit the aesthetics that served no purpose. As an Engineer, we need to challenge our client, and convince them of a superior, yet sustainable design that is functional. By designing elements that could be disassembled after its design life, we not only increase the life span of individual elements, but also help in the easy replacement of those that are damaged. Inevitable development in transportation like the ‘hyperloop’ would require collaboration of engineers from multiple disciplines. Keeping ourselves abreast with the progressive development made in other disciplines will help us stay on top. 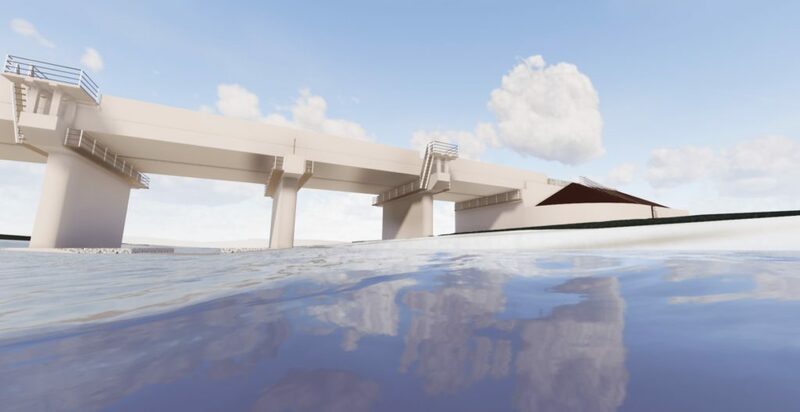 With software incorporating Building Information Modeling (BIM), there is a chance of fewer errors when information from various disciplines can be collated on a single platform. The algorithms which power the Google search engines someday will serve as a background for design. With a large database of designs and clever learning algorithms, we are in a generation whereby just giving a few parameters as input on a design/analysis problem, we could extract the complete design prediction. This can be a useful tool wherein large number of identical structures must be designed. When such technologies come into existence, we need to move a step forward, and think outside our codal provisions. The existing codes consider an ideal scenario where unforeseen changes in the climatic conditions4 are not considered. For example, the design for earthquake is based on average spectra of all the seismic activities from the past. With increased Global Warming, there is a potential risk that these past records of natural calamities may not be captured. In such cases, we may have to adopt ‘performance based design’ where the capacity versus demand is assessed based on the occupancy level for the design of that structure. FIB Model codes serve as a basis for future codes with up to date research activities. They help in challenging our understanding of structural behavior from multiple perspectives, supplemented with background information on every formulation and application rule set by codes. Before the Tacoma Narrows Bridge collapsed, structural engineers never considered the importance of aero elasticity in civil structures. It was the time spent in digging through the lessons learnt that created such magnificent bridges and skyscrapers. We need to be open to interdisciplinary collaboration challenging our wisdom, and strive to work towards a sustainable future. Roger Ridsdill Smith, Head of Structural Engineering and Senior Partner at Foster + Partners, IABSE Annual Milne Medal Lecture.